Londoner singer/songwriter Tom Speight announces headline Dublin show. As a kid, Tom Speight listened endlessly to those early Leonard Cohen albums, even going as far as to borrow his older sister’s classical guitar. 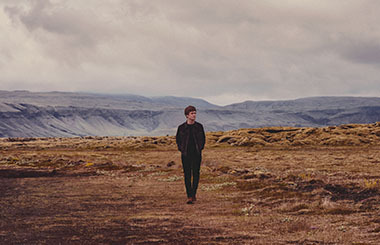 That element of simplicity remains in his music, but his recent work feels more inclined towards Ryan Adams’ Autumnal romanticism, or even the simple yet affecting Celtic soul of Damian Rice, where each note has its own place driven by a deeply personal connection to the music. Blending elements of folk, contemporary pop, and intimate singer/songwriter fare, Speight made his recording debut with the self-released ‘Falling’ EP in mid-2016 and a further EP ,‘Love’, followed in late 2016. He followed up with three more EPs in 2017, all featuring production by Chris Bond (Ben Howard, Justin Nozuka) and guest spots by Turin Brakes and vocalist Lydia Clowes. His latest release ‘Strangers’ came in November 2018 and has gained widespread acclaim from fans and critics alike. His EP releases have gained more than 30 million combined Spotify streams and earning him support from Radio 2 and a high-profile session on Jo Whiley’s show. With a true passion for playing live, he chalked up more than 80 shows in less than 12 months, from London to Poland, from the Scottish Highlands to the continent. Speight will now bring his enigmatic live shows to Ireland, kicking off a run of tour dates, beginning in Whelans in Dublin on April 17th, with following shows in Cork, Galway and Belfast.